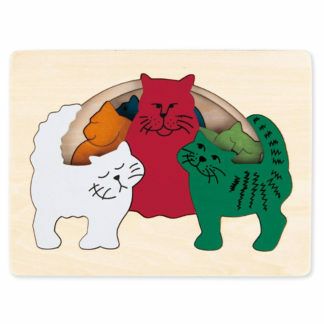 These are not ordinary puzzles. 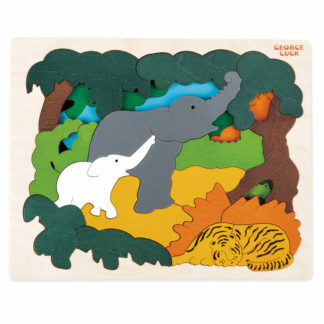 George Luck meticulously cut the pieces of these puzzles for single or multi-layer puzzle play, they then ensure the imaginative puzzles are beautifully coloured with only eco-friendly water based paint. 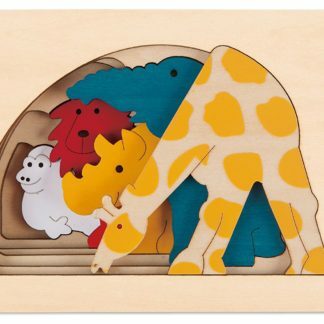 The latest additions on the LeVida Toys store from the range George Luck range include the Asian Animals Puzzle with over 30 colourful pieces and is aimed at children 5 and over. Elephants, tigers, and other sneaky friends are waiting to play in this colourful wooden Asian Animals Puzzle. While the Sports Car Puzzle aimed at children from 2 years and up features 11 pieces. 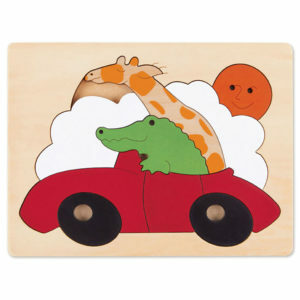 Can you answer the puzzling question of how a giraffe fits his giant neck inside a Sports Car? Widely renowned by both parents and educators for their high quality, imaginative and innovative designs. George Luck products have captured the hearts of children and adults alike for over 30 years. 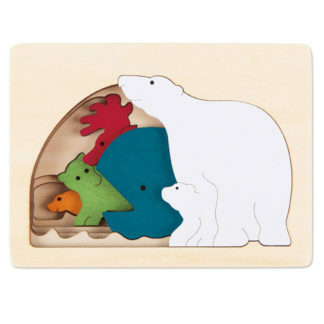 All the puzzles have been manufactured from plywood and cut using fine blades in order to capture superb details in each piece. 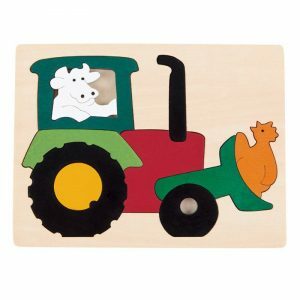 To finish off the puzzles are then painted with child friendly water based colours. 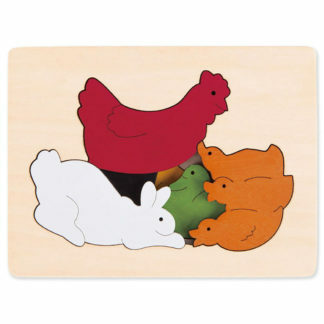 Some puzzles feature several layers in beautiful rich colours and are proven to provide development experiences whilst being fun and entertaining for children of all ages. Schools and pre-schools use George Luck puzzles because they assist in shape recognition and hand-eye co-ordination in young children. 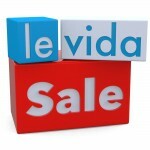 And of course, as with all products at LeVidaToys standard UK postage is free on all orders of £25.00 or more. Place your order before 12pm and your order will be dispatched the same day.